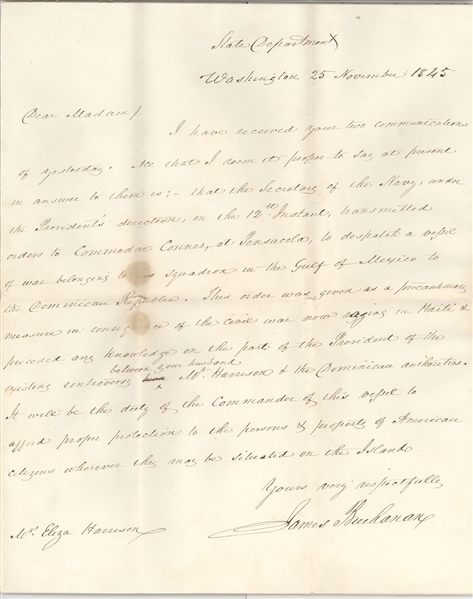 A letter from Secretary of State Buchanan dated 25, November, 1845, addressed to Eliza Harrison pertaining to her husband William's financial interests in Haiti / Dominican Republic during the Dominican War of Independence. 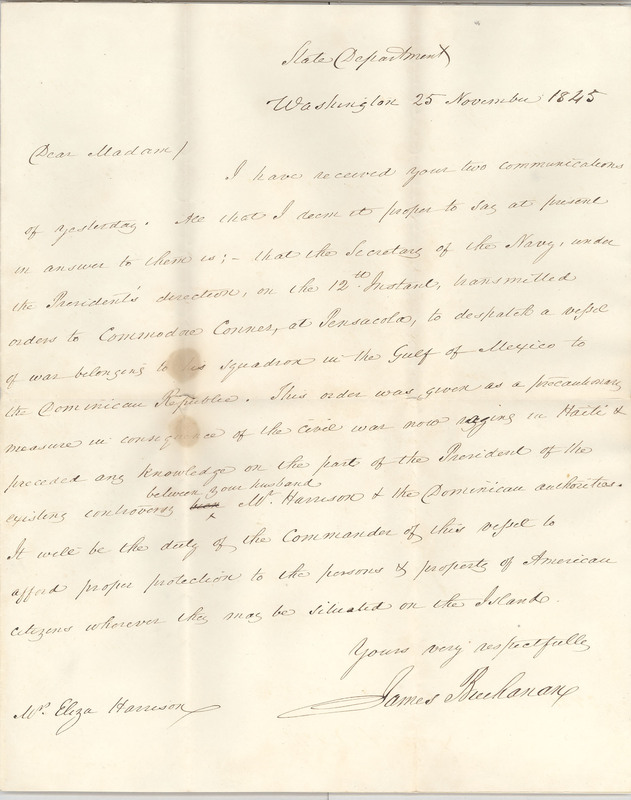 Buchanan explains that President Polk has dispatched a ship from the Home Squadron, commanded by Commodore David Conner (soon to lead the Naval effort in the Mexican-American War), to the island to protect American interests. 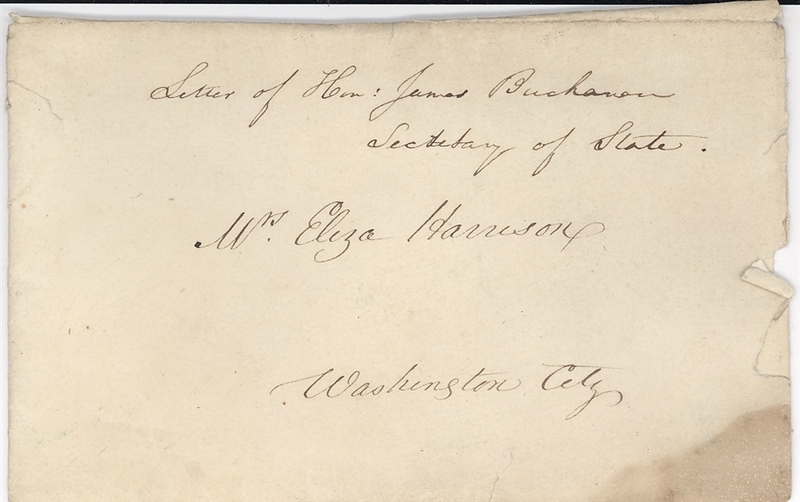 Hand written and signed by Buchanan, including addressed envelope with partially intact seal.